Resides: New York, New York, U.S.A.
Jim Kempner Fine Art Sculpture Garden, New York, NY. 2014 Connaught Brown, London, England. 2013 Jim Kempner Fine Art Sculpture Garden, New York, NY. 2012 Baker Sponder Gallery, Boca Raton, FL. Gail Severn Gallery, Ketchum, ID. 2011 Connaught Brown, London, England. 2010 Eckert Fine Art, Kent, CT.
2008 Connaught Brown, London, England. 2006 Eckert Fine Art, Naples, FL. 2005 Caldwell Snyder Gallery, San Francisco, CA. Courcoux & Courcoux Gallery, Hampshire, England. 2004 Miriam Shiell Fine Art, Toronto, Canada. 2003 Kraft Lieberman Gallery, Chicago , Illinois. Imago Gallery, Palm Desert , California. 2002 Elaine Baker Gallery, Boca Raton, FL. 2001 Fay Gold Gallery, Atlanta, Georgia. 2000 Elaine Baker Gallery, Boca Raton, FL. 1997 Imago Gallery, Palm Desert, California. Jaffe Baker Gallery, Boca Raton, FL. Fay Gold Gallery, Atlanta, Georgia. 1996 Buschlen Mowatt Gallery, Vancouver, B.C. Canada. 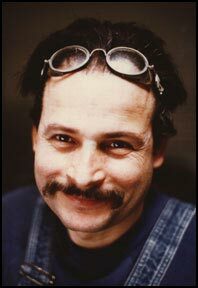 1995 Allene Lapides Gallery, Santa Fe, New Mexico. 1994 O.K.. Harris Works of Art, New York, NY. 1993 Fay Gold Gallery, Atlanta, Georgia. Helander Gallery, Palm Beach, FL. 1992 O.K.. Harris Works of Art, New York, NY. 1991 Helander Gallery, Palm Beach, FL. 1990 Hokin Kaufman Gallery, Chicago, IL. O.K.. Harris Works of Art, Birmingham, MI. 1989 O.K.. Harris Works of Art, New York, NY. Hokin Kaufman Gallery, Chicago, IL. 1988 Helander Gallery, Palm Beach, FL. O.K.. Harris Works of Art, New York, NY. 1987 Philadelphia Museum of Judaica, Philadelphia PA.
1986 O.K.. Harris Works of Art New York, NY. 1985 Broadway Windows, New York University, New York, NY. 1982 Farthing Gallery of Art, Appalachian State University, Boone, NC. Elise Meyer Gallery, New York, NY. 1979 Elise Meyer Gallery, New York, NY. 1978 Sculpture Court, The Jewish Museum, New York, NY. 1976 Hundred Acres Gallery, New York, NY. 1972 Yad-Labanim Museum, Petah-Tiqva, Israel. 2017 Point Leo Sculpture Park, Victoria, Australia. Permanent installation of : "Ma'aseyahu", and "Haziel"
2016 Main Street Square, Houston, TX. Permanent installation of : "Asa & Yehoshafat with Dog"
2015 Rockford Public Installation, Rockford, IL. Long-term installation of : "Ah'av", "Asa & Yehoshafat", "Ba'al & Yizhaq", and "Yo'ah with Dog", on loan from Boaz Vaadia Museum Collection. Poydras Corridor Sculpture Exhibition - Sculpture for New Orleans, New Orleans, LA. Long-term installation of: "David" on loan from the Boaz Vaadia Museum Collection. 2014 University Medical Center of Princeton,, Plainsboro. NJ. Permanent installation of : "Amaryahu with Cat"
Sculpture Walk, Illinois Wesleyan University, Bloomington, IL. Permanent installation of: "Family with Dog" and long term installation of "Ah'av" on loan from the Boaz Vaadia Museum Collection. on loan from the Boaz Vaadia Museum Collection. 2013 Downtown Abstractions, Art in Public Places - Stamford Downtown, Stamford, CT. Long-term installation of two sculptures: "Ba'al with Cat" and "Yizhaq with Cat" on loan from the Boaz Vaadia Museum Collection. Waterfront Promenade, Yonkers, NY. Long-term installation of two sculptures: "Ba'al" and "Ammi'el" on loan from the Boaz Vaadia Museum Collection. 2011-2013 Aviator Park in Logan Square, Philadelphia, PA, Long-term installation of three sculptures: "Family with Dog", "Gilalay & Ginnetoy", and "Yo'ah with Dog" on loan from the Boaz Vaadia Museum Collection, through Moore College of Art & Design. 2011-2014 Pratt Institute Sculpture Park, Brooklyn, NY, Long-term installation of three sculptures: "REBECCA", "SARA", and "MEIR" on loan from the artist. 2006 The Hilton Garden Inn, Staten Island, NY. Permanent installation of Yo'ah with Dog. 2004 Time Warner Center - South Tower Entrance, New York, NY. Permanent installation of Asaf and Yo'ah. 1998 Chicago Symphony Sculpture Garden at Ravinia, Chicago IL - permanent installation of David and Yonatan. 1997 Philharmonic Center For the Arts, Naples, Florida Permanent installation of Meshullemet and Menashshe. 1995 The White House, First Lady's Sculpture Garden, 20th Century Sculpture, Southern Region, exhibition featuring Zur With Dog, on loan from the Norton Museum. 1995 Tokyo Metropolitan Teien Museum, Japan, permanent installation of Piltay & Pashhur. 1993 The Monterey, 175 E. 96th St. permanent installation of outdoor sculpture,Yakhin, in front of residential apartment building, New York City, NY. 1992 Hakone Open Air Museum, Utsukushi-ga-hara Open Air Museum, Japan, permanent installation of outdoor sculpture, Moriyya, outdoor sculpture garden, Japan. 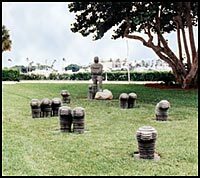 1992 West Palm Beach Art in Public Places, in cooperation with The Norton Gallery of Art, installation of Avram with Dog an 10 Lambs, West Palm Beach, Florida. 1992 Arlington County Beautification Program, permanent installation of sculpture David Haggit & Adoniyya, public private partnership between Arlington County and La Salle partners, sited at 1300 N. 17th Street, Rosslyn, Virginia ; sculpture commissioned by La Salle Partners through an invited competition with a selection panel consisting of Arlington County officials, developers, art professionals , and a landscape architect. 1988 Carnegie Park Building, 200 E. 94th St, New York, New York, permanent installation of outdoor sculpture, Omri & Ah'av, in the park of a residential apartment building, New York City, New York. Kirkland International Outdoor Sculpture Exhibition, Kirkland, WA. "Art Palm Beach", Buschlen Mowatt Gallery. 2000 "Sculpture for the Outdoors IV", Clark Gallery, Lincoln, MA. "Art Miami 2000", Elaine Baker Gallery. Vancouver International Sculpture Project, Vancouver, B.C. Canada. "Art Miami 99", Elaine Baker Gallery. The Open Museum, Tefen, Israel. "Art Miami 98", Elaine Baker Gallery. "Art International New York", Buschlen Mowatt Gallery. 1997 Taipei Art Fair, Taiwan, Buscheln Mowatt Gallery. Washington, D.C., Buschlen Mowatt Gallery. 1997-96 Philharmonic Center for the Arts, Naples, Florida. Vered Gallery, East Hampton, N.Y.
20th Century Sculpture, Southern Region. Imago Gallery, Palm Desert, California. 1994 Hakone Open Air Museum, Japan. Open Museum at Tefen, Israel. 1993 F.I.A C. in Paris, France. Lillian Heidenberg Gallery, New York, NY. 1992 Fay Gold Gallery Atlanta, Georgia. Utsukushi-ga-hara Open Air Museum, Japan. 1991 Centerpieces, Norton Center, Center College, Danville, KY.
Art at Gateway Center, Second Annual Sculpture Exhibition. Prudential Insurance Company of America, Newark, NJ. 1990 Figurative Abstraction, Helander Gallery, Palm Beach, FL. 1989 Best of Season, Helander Gallery, Palm Beach, FL. 1987-86 Origins , Bronx River Gallery, Bronx, NY. Fondo Del Sol, Washington, DC. The Craft and Folk Museum. The Contemporary Arts Center, New Orleans, LA. Long Island University, Greenvale NY. Long Island University, Greenvale, NY. The Moody Gallery of Art, University of Alabama, AL. University Galleries, University of South Florida,Tampa FL. Huntsville Museum of Art, Huntsville, AL. 1985 Spiritual Climates, Thorpe Intermedia Gallery, Sparkill, NY. Hebrew Union College Gallery, New York, NY. Brooklyn Art Palace, Brooklyn NY. 1984 Sculpture Center, New York, NY. Germans Van Eck Gallery, New York, NY. 1983 A.I.R. Gallery, New York Equitable Gallery, New York, NY. Sculpture '83, Beaver College, Glenside, PA.
1984-82 A.R.E.A. Ward's Island, Manhattan Psychiatric Center, NY. Alternative Museum, New York, NY. 1982 The Monument Redefined, Gowanus Annual I, New York, NY. 1981 Vrije University of Brussels, Belgium. 1980 Tel-Hai College, Upper Galilei, Israel. A.I.R. '81 Rockland Center for the Arts, NY. Outgrowth, Battery Park, New York, NY. U .N. General Assembly Building, New York, NY. Bonnie Benedeck Sculpture Garden, East Hampton, NY. State University of New York at Oswego, NY. 1977 Artists-in Residence, Bear Mountain Inn, NY. Harkness House Gallery, New York, NY. 1975 Youdfat Gallery, Tel-Aviv, Israel. 1974 Yad-Labanim Museum, Petah-Tiqva, Israel. 1973 City Museum, Ramat-Gan, Israel. And many other private collections throughout the world. Russian American Foundation, New York, NY. 1992 Utsukushi-ga-hara Open Air Museum Award, Japan. 1988 National Endowment for the Arts Grant. 1986 Ariana Foundation For the Arts, NY, grant. Artists Space, New York, NY, grant. Palisades Interstate Park NY; grant and residency. Brooklyn Museum Art School, Brooklyn, NY. 1976-75 America Israel Cultural Foundation Grant. 2014 Fox 5 News, "The art of sculptor, Boaz Vaadia". 2014 WSRQ Sarasota Talk Radio, "The Mezz with Brian Hersh". 2013 One Way Ticket Show with Steven Shalowitz "Boaz Vaadia - Sculptor". 2013 Observer Media Group Season of Sculpture Season VII: Shared Ground. 2010 NBC Today Show "David" at ArtPrize, Grand Rapids, MI. 2010 White Collar TV Series, USA Network "Troy 2nd" and "Zur" featured, Boaz written into script. 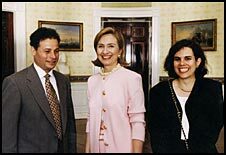 1995 CNN Headline News, "Zur with Dog" sculpture at The White House broadcast nationally. 1993 West Palm Beach Television News Coverage Avram with Dog and 10 Lambs. 1980 Out of Rock, 30 minute documentary film by J. Keydel and A,. Bernstein of Boaz Vaadia & work. 1979 Boaz Vaadia: An Interview, 30 minute film by D. Shai for Manhattan Cable T.V. Debora Gilbert, "Sculpture at Time Warner Center", "Greenline" October 8-21, 2004. Kim, Jae-Ha, "Kraft Lieberman Gallery", "Chicago Sun Times", September 5, 2003. Abatt, Corinne. " 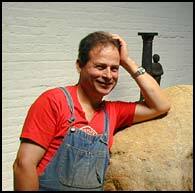 Art Guru Visits the Midwest" Birmingham Eccentric, Birmingham, MI. ill.
Artner, Alan G. " At the Galleries: Winn's Rural Visions Evolve Poetic Grace "
Chicago Tribune, Chicago Il. March 23, 1989.p. 13C ill.
April 14, l989.p. D3 ill.
Hurlburt, Roger." When Worlds Collided" Sun Sentinel, October 11. l992. ill.
New Jersey Edition. January 28, 1990.p. 16. Schwan, Gary . " Dogs, lambs head downtown ", The Palm Beach Post, October 2, l992. ill.
Shaked, Shlomit. " Back to the Stone Age" Maariv, Israel. February 15, l989. ill.
Sozanski, Edward J. "The Arts: The Smallest Presentation Steals the Show at Fleisher"
Philadelphia Inquirer, January 29, l987. 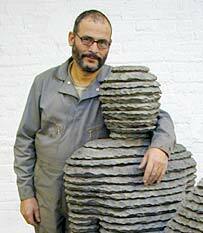 p. 4D ill.
"Israeli sculptor, Boaz Vaadia Exhibits in Soho Gallery" Israel Shelanu, ill.
Kendal, Nigel, Ed. "TimeOut Tokyo Guide," ill p.101. Everson Museum of Art, 1986. Brookville, NY: Hillwood Art Gallery, Long Island University, C.W. .Post Campus, l988. n.a. Chicago International Art Exposition, Chicago IL, 1990.p.192,193. n.a. Chicago International Art Exposition, Chicago IL, 1989.p.200,201. n.a. The Jewish Museum 1987-1990, New York, NY: The Jewish Museum, l991.p.50. South Florida Times, 2005 Preview, Adrienne Garnett, Cover p10-11. Pollack, Barbara, "Boaz Vaadia - Review", ARTnews, September 2003, p138. Bosworth, Beth, Ed., The Saint Ann¹s Review, Winter Spring 2002, ill. p72, 118-9. Adrian Dennis. " Chi Town's Tenth" Art & Auction, New York, NY May 1989.p. 118. ill.
Keydel, Julia. " Boaz Vaadia" Arts Magazine, New York, NY November 1979.p....12.ill. Rass, Rebecca. " 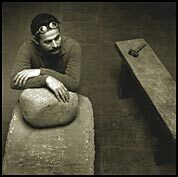 Boaz Vaadia: Stone People " Studio Magazine, Israel. Stern, Fred. " Boaz Vaadia" Mizue, Japan. Spring 1989 ill.
Talpir, G. " Boaz Vaadia" Gazith Art & Literacy Journal #357-360, Israel. December 1973- March 1974. p.76. ill.
Zalmon, Yigal. " Boaz Vaadia: Combinations" Mussag- An Art and Culture Monthly, #9, Israel. n.a. "Events" Sculpture Magazine, Washington, D.C. September/October 12988.p. 98. ill.
n.a. "Soho, the Birthplace of Modern Arts" Monthly Art Magazine International, Japan.